Oral history is an important initiative to capture our community’s history before it disappears; hearing the voice and actual stories of people helps to remind us that history is not remote, it is our lives, our past, and helps us to plan for our future. To this end, the NHA has become custodian for several hundred recordings of local oral histories, both in audio and video formats, and has initiated projects to continue collecting Nantucket’s stories. A few were recorded as early as the 1930s for the Linguistic Atlas of New England. There are also recordings made by Henry Coffin Carlisle in the 1950s and 1960s, interviews performed by the Nantucket High School’s Nantucket Experience class in the 1980s, professional interviews performed by oral historians funded by an Axe-Houghton grant in the late 1980s and early 1990s, tapes made by professional oral historian Nancy Newhouse in the late 1990s and early 2000s, and more. Thanks to two Community Preservation Committee grants, the NHA has digitized most of the audio oral-history interviews in our collection. The NHA now has each one in three digitized formats with one version available online through our collections catalog. In 2014, the NHA launched a new oral-history project, “New Voices: Nantucket’s Diverse Immigrant Populations.” Supported by a grant from Mass Humanities, the state-based affiliate of the National Endowment for the Humanities, local oral historians spent over a year collecting stories of recent Nantucket immigrants. These audio recordings are also available in the online catalog. Video segments were prepared for the companion exhibition to this project, New Arrivals, New Voices, and are available here. A new project beginning in 2018, My Nantucket Neighborhood, is being funded in part by the Judy Family Foundation. The project will begin with transcribing and publishing online a series of video oral histories conducted in 2007 with the residents of ’Sconset in preparation for the ’Sconset 02564 exhibition. In addition, a series of themed videos created for the ’Sconset exhibit will be published online, and new interviews will be conducted by Nantucket filmmaker John Stanton. Nancy Newhouse on oral histories. We welcome helping anyone who wants to do oral history interviews. If you are interested in learning how, please contact us at oralhistory@nha.org. 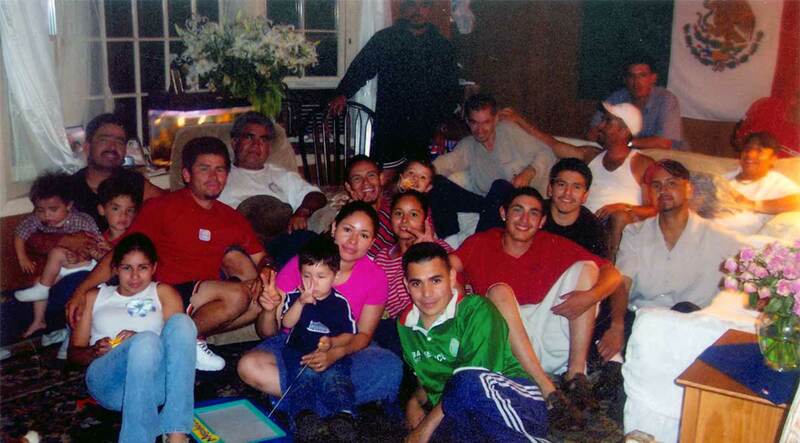 Banner image is of the Partida family, interviewed as part of the Nantucket Historical Association’s “New Voices: Nantucket’s Diverse Immigrant Populations” oral-history project, grant-funded by Mass Humanities, 2014.